Hi guys! Hope you had a great Christmas (if you celebrate it)! Mine was quiet, low key and relaxed, just the way I like it. The only thing that wasn't so great was the weather, I would have loved to have some snow, but we didn't have any. 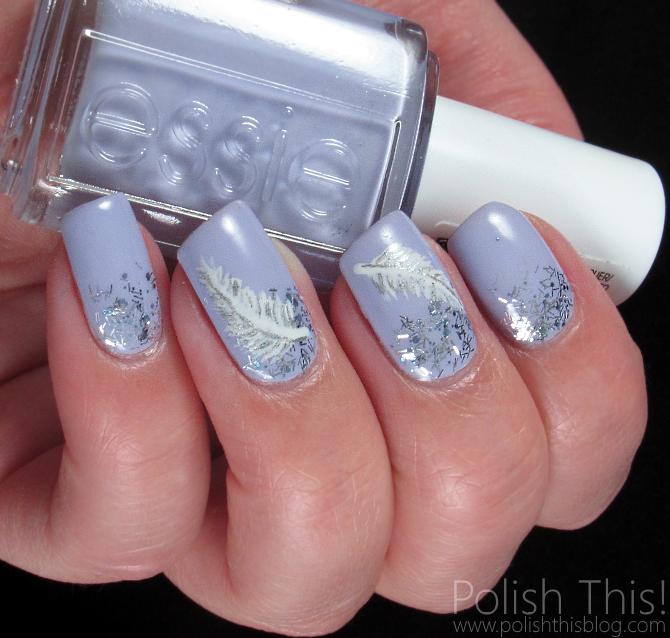 There's just a little snow here now, but I'd love to see more, so while waiting I did some snowy nail art for you. 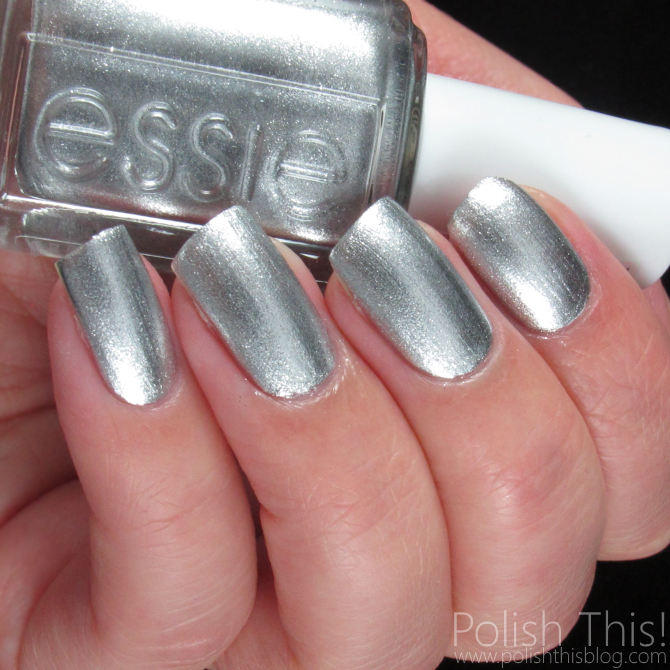 I used first one coat of Essie Blanc as my base color. 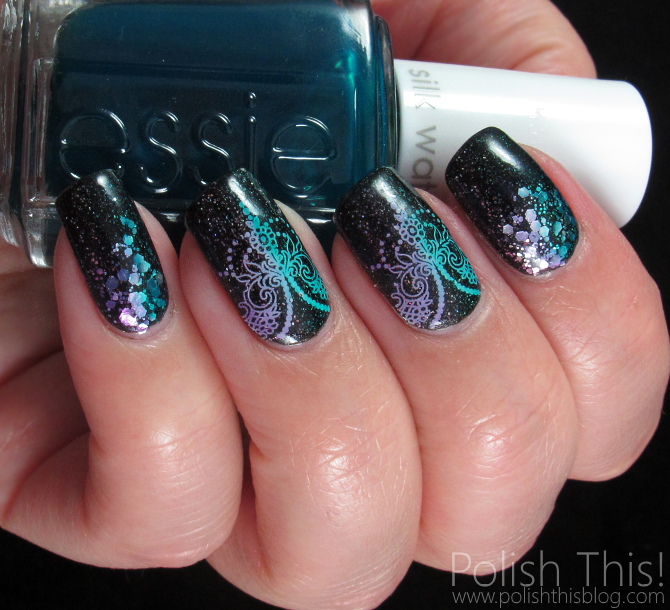 Then I did a gradient using Essie Fashion Playground and Essie Private Weekend. The snowflakes are vinyl stickers from Vinyl It Up. Even though both of the Essies have a little shimmer in them, I wanted more sparkly look, so I used one of my favorite toppers KBShimmer I Only Have Ice For You on top of the whole mani. I've done quite a few snowflake manicures in the past years, but they have always been either blue, red or something like that. 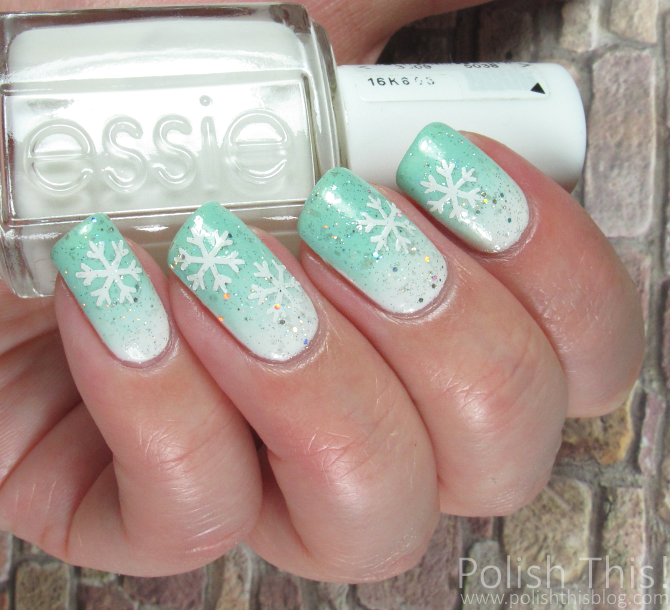 I really loved this minty version, I think the minty gradient look so good with the snowflakes! I really wish for a bit more snow soon! How about you guys, do you like snow? 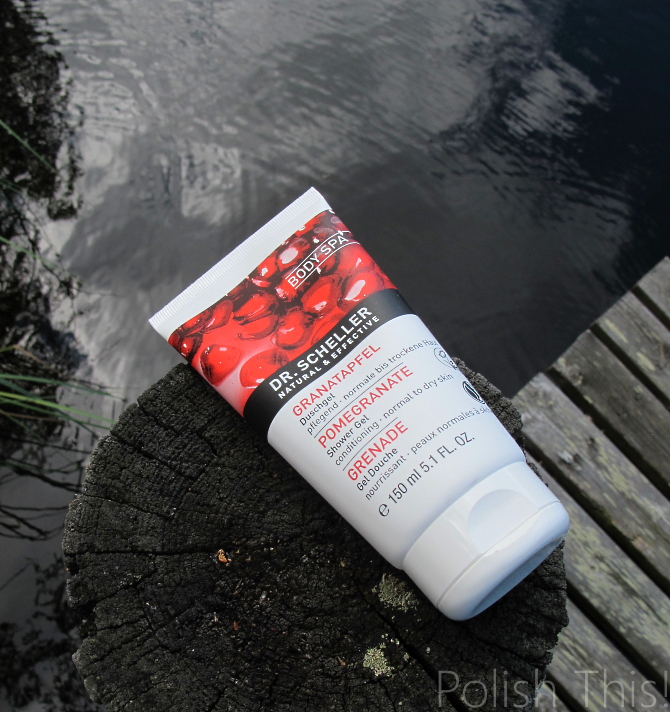 Today I wanted to just quickly recommend a great daytime hand cream for you guys. I want my night time hand creams to be as thick and moisturizing as they can be, but for my daytime hand cremes I prefer more lighter formula that absorbs quickly and preferably smells nice. 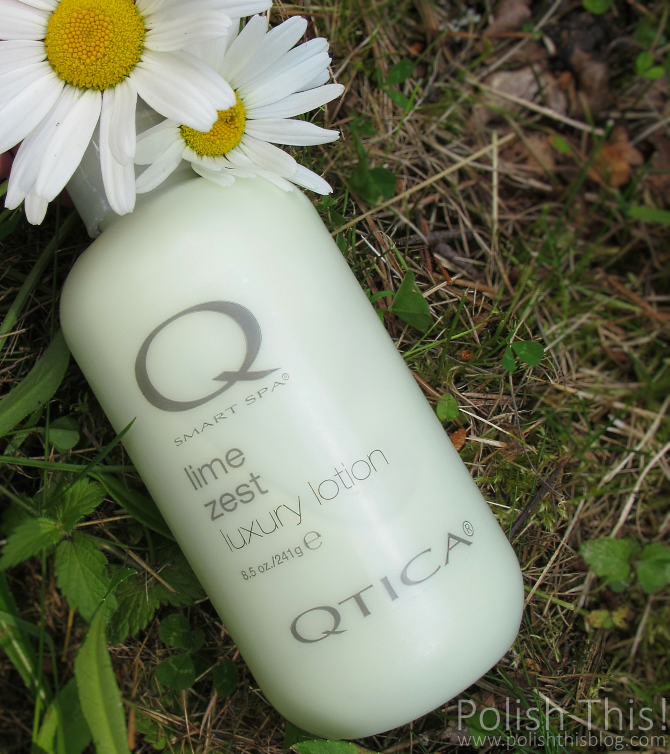 These Qtica Luxury Lotions aren't thick enough for me to use them night time, but they have the perfect formula for daytime use. 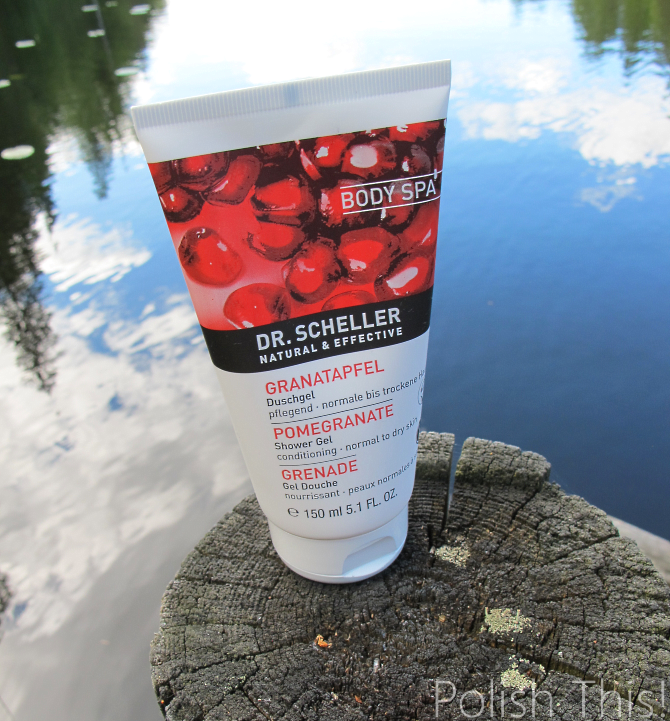 It's a great lotion as it's moisturizing enough but at the same time it doesn't leave your hands too sticky. The biggest bonus of these is of course the great scents! Every one of these Luxury Lotions that I've tried have smelled really really good. 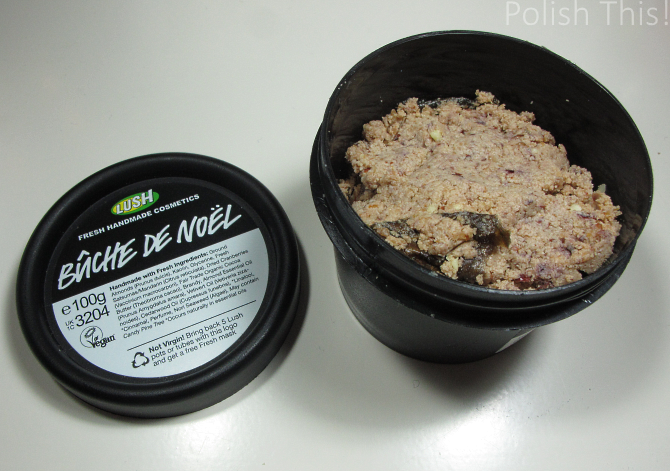 This Lime Zest one that I got for review a quite while ago from Mi Nails truly smells divine! It's a great citrus smell that is sweet but also little bit sour at the same time. 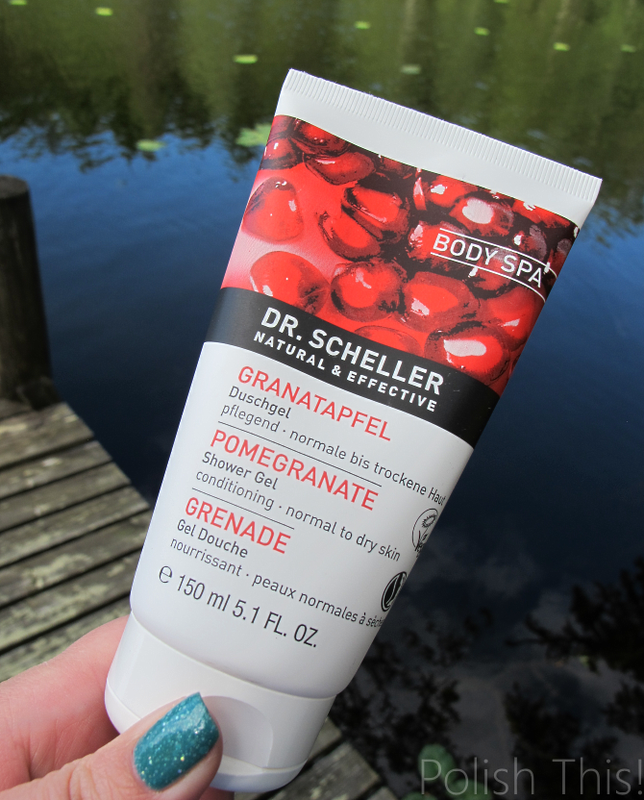 I'm always in love with great citrus scents and this is definitely no exception, I love it! 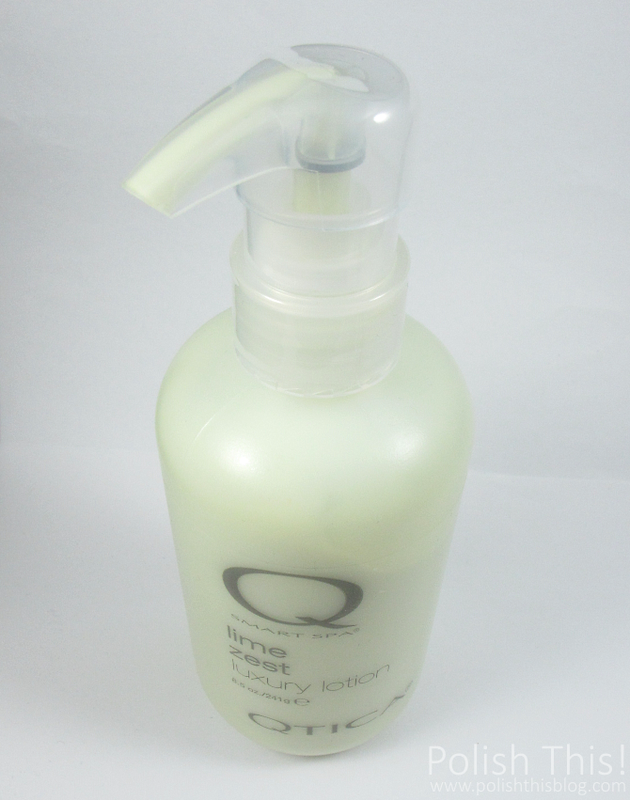 This is also a great multipurpose product as it's not just a hand lotion. Rather it's a all-around lotion that you can use for your pedicures also as well as other parts of your body. There are several different scents of this Luxury Cream and they all sound so tasty. Even though I do love this Lime Zest so much I think I'd equally love Pomegranate Lime, Grapefruit Surprise, Lemongrass Ginger and all the others too. The bottle size with these bigger bottles is a hefty 250 ml so there's quite enough product to use for a while at least if you use it solely as a hand cream. There's also even bigger bottle available, but I'm pretty sure that would last forever... I really the fact that it's a pump bottle, it's of course very handy! I have this one currently sitting on my desk at work and I use it several times a day as the scent is so good and it's so easy to use. I just checked and unfortunately it seems that Mi Nails no longer sells these Luxury Lotions. Here in Finland you can still get them from NailCity. 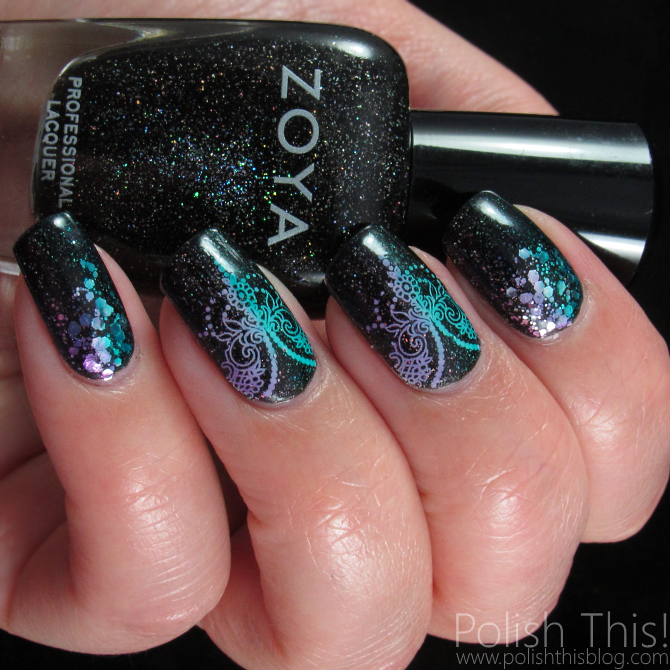 These Qtica products are from the same company than Zoya nail lacquers, so you can get these pretty much where ever you can get Zoyas. *I've gotten the lotion for review. 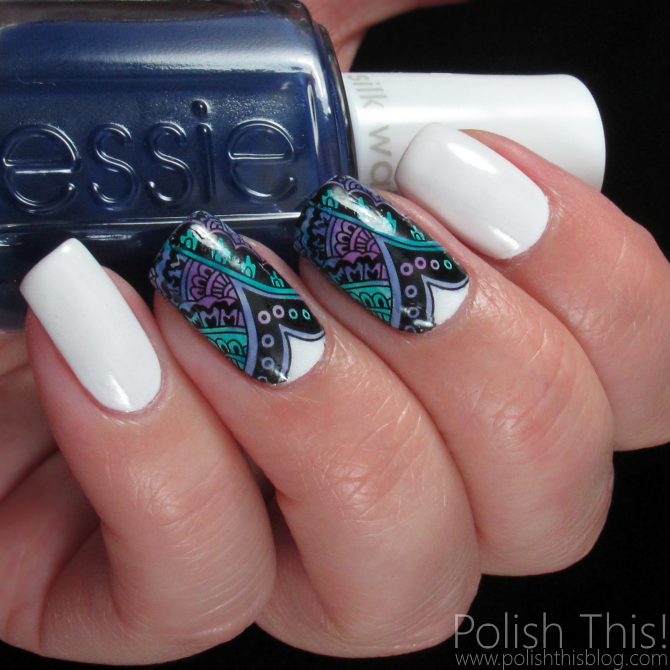 I know that I promised something else for you guys today than water decals... Well, I hope I can get away with this mani since there is water decals once again in this one, but there's also a gradient and some rhinestones, so it's definitely not just water decals. 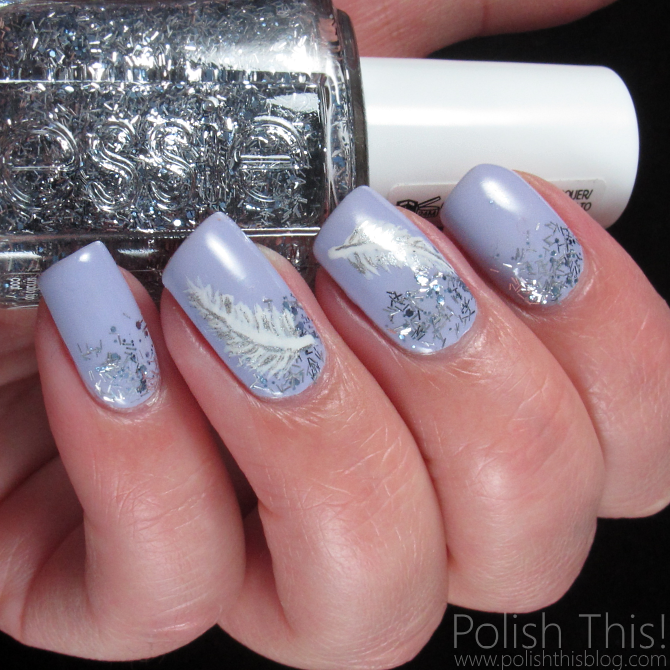 Picture Polish Allure is one of my newest Picture Polish pretties and of course I had to use it as soon as possible. I thought it would look great with another PP stunner, Eerie, so I decided to do a gradient with those two. I used first two coats of Eerie and then did the gradient sponging both Allure and Eerie on each nail. 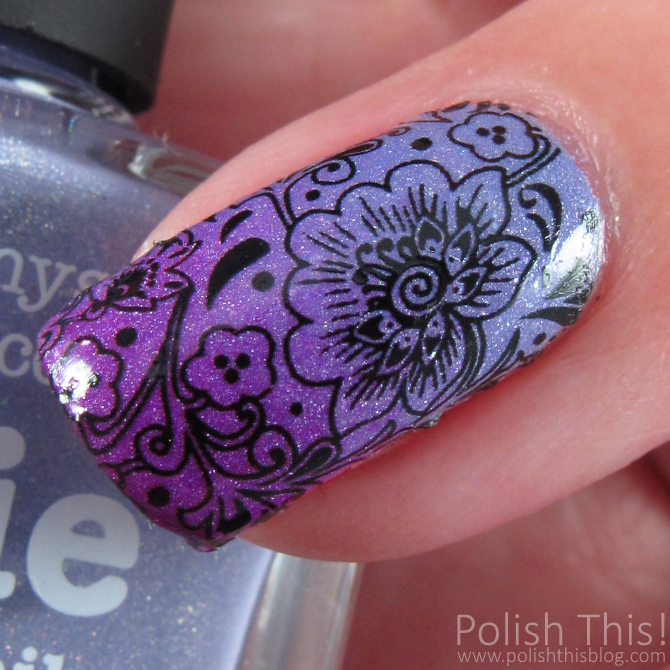 The black water decals are from MILV and I also used some black diamond rhinestones. 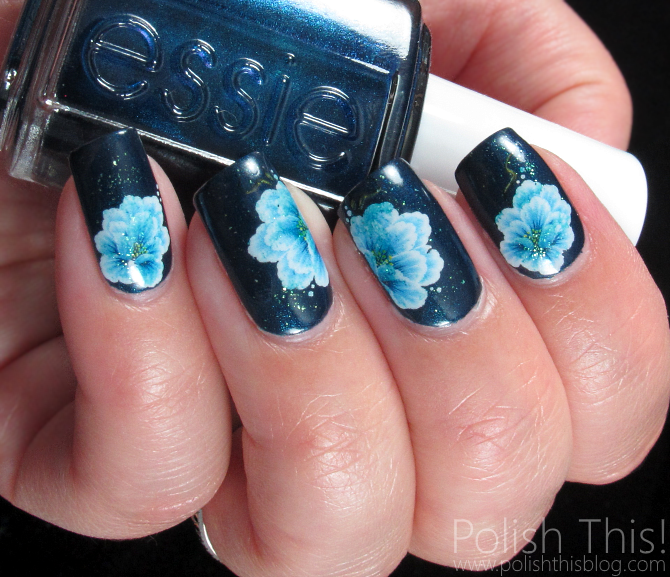 This is another water decals I've done lately that looks quite like stamping. 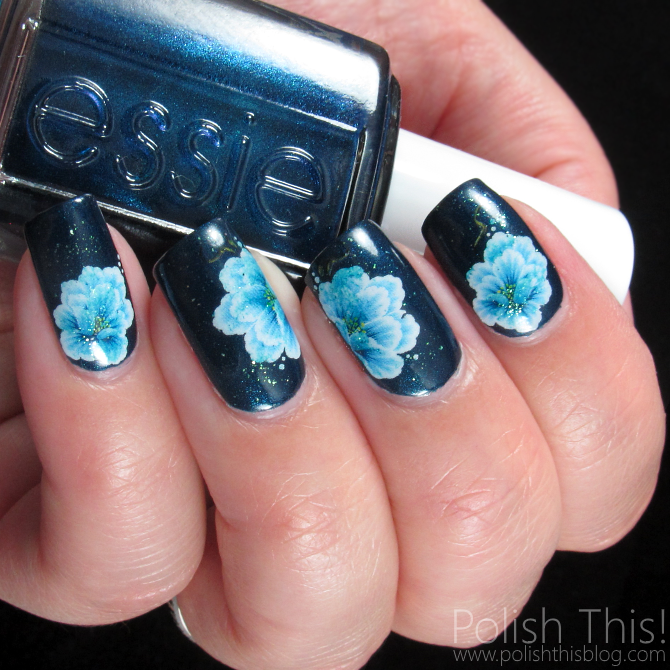 I would never be able to get such perfect stamping images on my nails, so these decals are really great way for me to get the similar look. Of course I'd love to learn how to stamp, but for now these decals work very well too. 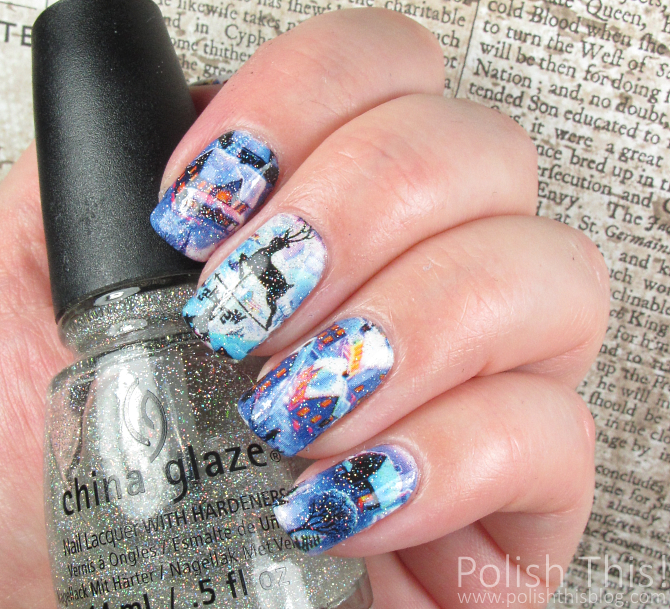 I really really love both of these Picture Polish lacquers, they are so gorgeous! However, Allure was such a hard one to photograph, the color looked completely wrong in all my pictures. I tried to color correct them, but I still couldn't get it quite right as it's more brighter and more fuchsia colored than in my pictures. It's quite bright and bold color, so I'm not sure if I'd wear it alone but it looked really great with Eerie. This is one coat of Gina Tricot white, MILV N462 water decals and Glisten&Glow HK Girl top coat. 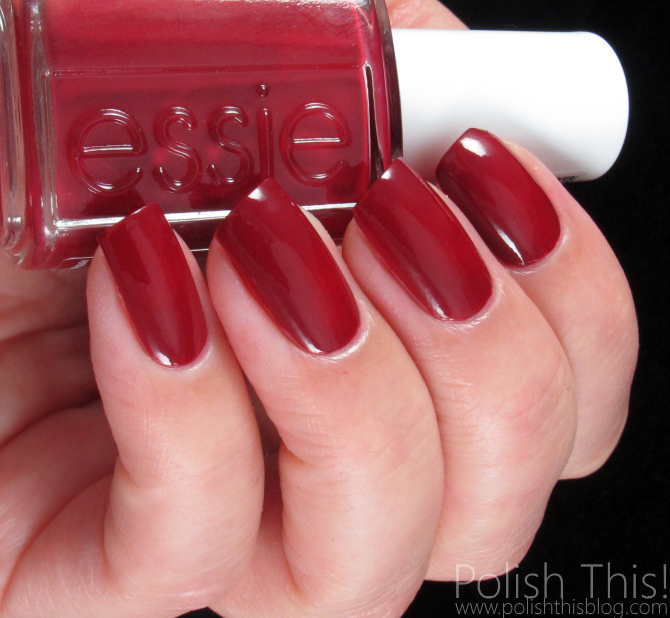 Because sometimes the simplest and easiest manicures are the best! Here's the first real post of my new scheduled post era. At least I was able to do this first one, so it's a good start! :) If you don't know what I'm talking about, check out my previous post. 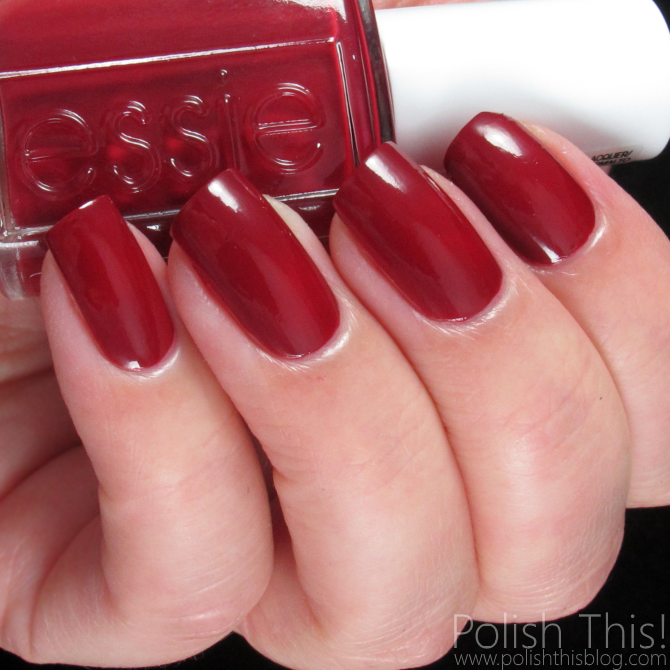 Today I have a simple manicure to share with you guys. 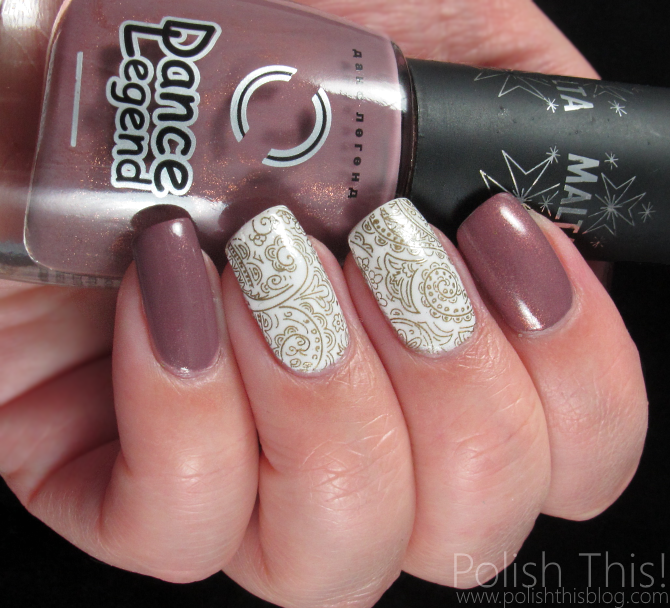 I've had couple Dance Legend Malta series polishes sitting in my untried box for quite a while, so I decided it was finally time to try at least one of them. 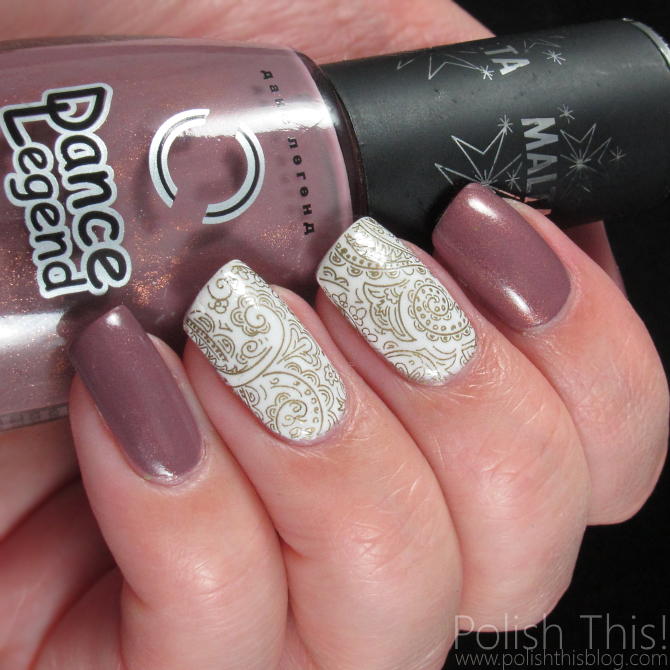 I used Dance Legen Malta number 90 for my thumb, index and pinky nails. It's a beautiful dusty mauve color with golden shimmer. It's quite sheer, so I used three coats here and I could have even needed another coat on some nails. For my accent nails I did two coats with Gina Tricot white and then I used those golden water decals by MILV. 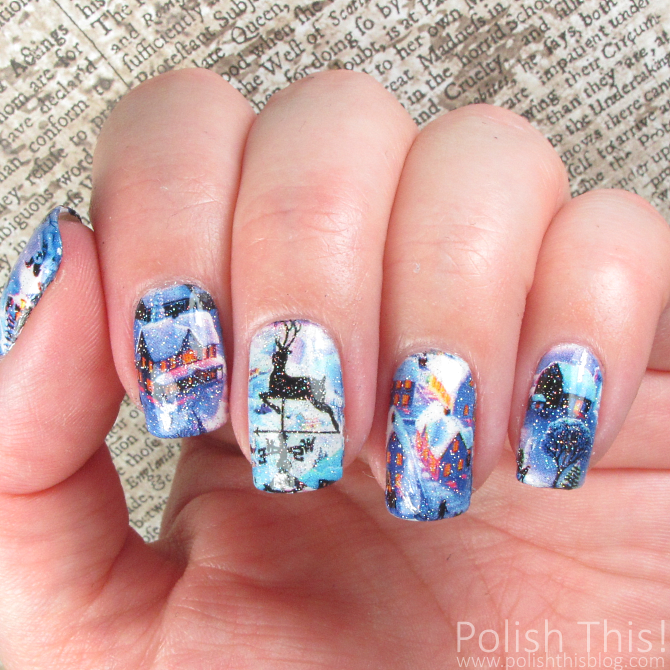 I didn't even think about it, but this is quite a Russian manicure as the polish and the water decals are both from Russian brands. This was actually the manicure I originally did to compliment my JORD wood watch and you might have spotted this mani already in my JORD post. I still wanted to share this mani in completely separate post and not talk about it in the watch post. I really liked this mani, so it deserved to be shared on its own post and as I said in the JORD post, you can wear the watch with any kind of manicure. 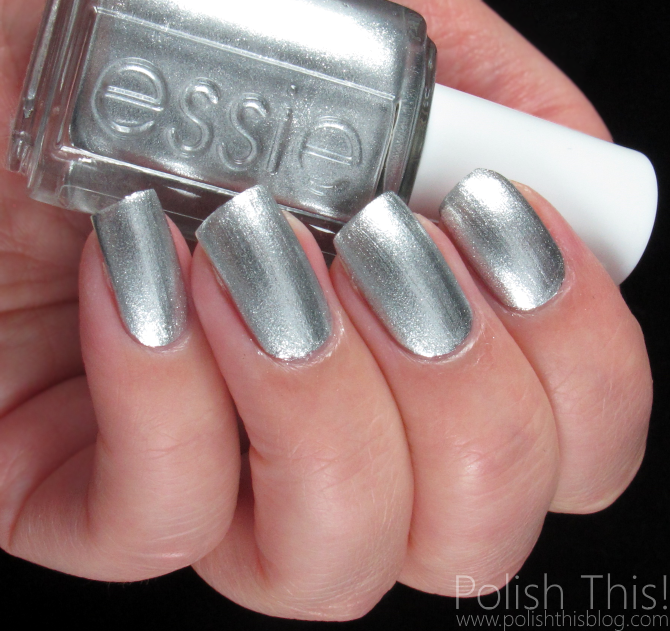 This was yet another quite simple manicure, but like I said, I really liked this look a lot! 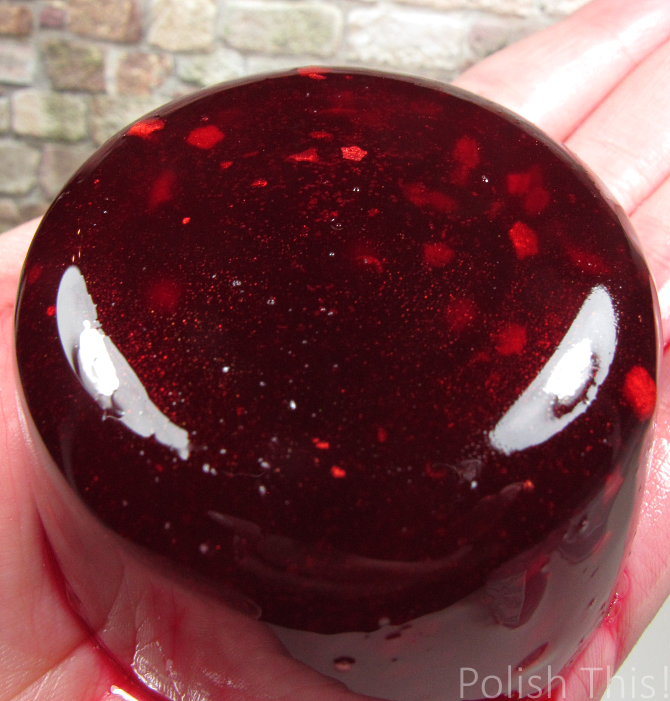 I'm not sure if Dance Legend Malta number 90 is the perfect color for me, but the shimmer is certainly gorgeous in it. I also really like those MILV water decals. You all probably know that I'm not (yet!) really good at stamping, so this was an easy way for me to achive similar look than what you can get with stamping. *I've received the JORD watch for review. I have bought the other products in this post myself. I have some news for you today about my blog and the future! Sounds big, but don't worry, there's just going to be a little something new around here and I thought I'd talk a little bit about it today. I've said it thousand times before, but lately I've been quite busy, so there hasn't been so many posts around here as there used to be. I constantly feel bad about that I haven't been able to post so much and it's quite a vicious circle as when I feel bad, I don't feel like posting anything... So long story short, I decided I should try something more scheduled and organized, and maybe then I'd be able to post a little bit more and more importantly, post regularly. So starting today there will be (at least) three posts per week. I'm going to schedule my posts beforehand, so there will always be new post up on Tuesdays, Thursdays and Sundays and they will all be posted at 6 am EET. There are some occasions that I might not post like Christmas and such, but I'll follow this schedule 99% of time. 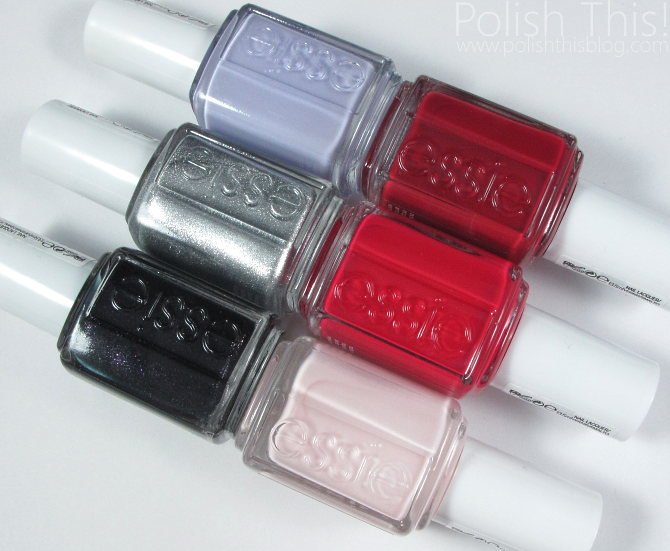 Also, I've been wanting to write some product reviews and such of other products than just nail polish for quite a while, so I decided to create a new post series for this. In addition to the three nail polish related posts every week, there will be one review about something else on every other Saturday. If I get excited and want to do even more of these, then there might be one review every Saturday, but we'll see about that. This new post series will be called Love This! (yeah, I'm very innovative when it comes to names!) and it'll be about products that I have tried and loved and want to recommend them to you guys. It can be other beauty products and sometimes also hand and nail care products, but occasionally maybe something completely different, we'll see. Anyhow, next Saturday I'll have you the first post of this new series, so stay tuned! I've been little hesitant to try a strict schedule before because I've been afraid that I couldn't keep it up. But now I feel like this is something I need in order to keep my blog going strong, so I want to try it at least for a while. I think I'm going to do a little trial period and do this for a month and then see how I feel about it. Hopefully this will work for me and I of course hope you'll like this too as now you know exactly when you can find new material here in my blog from now on. 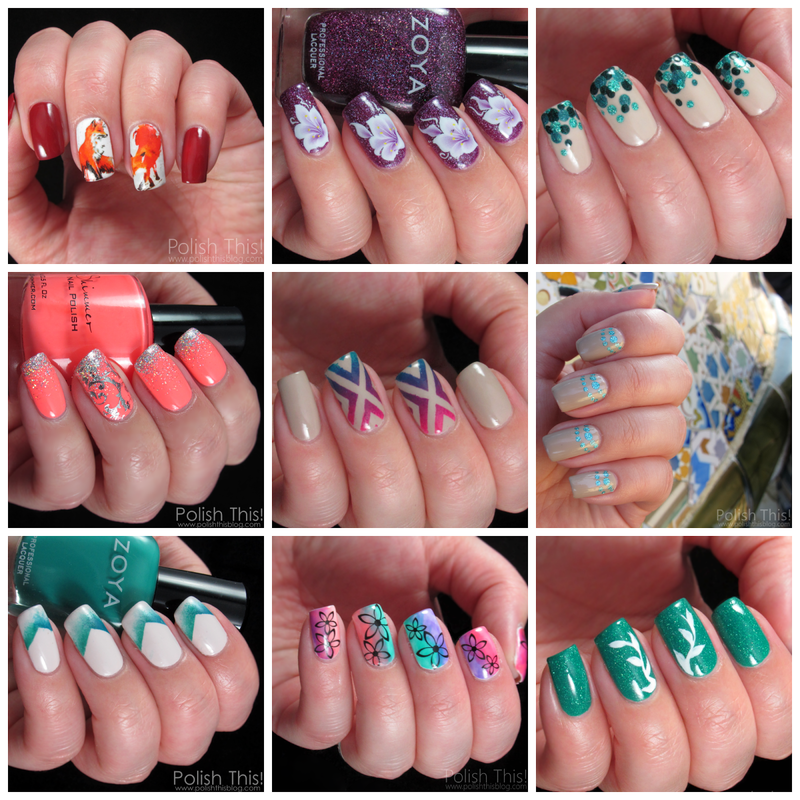 I didn't want to do a post without any pictures, so I included a collage of some of my recent favorite manicures here. I haven't posted my Monthly Manicure Roundups lately either since there hasn't been too much to roundup, but I'll get those going after next moth too.